Let’s face it, the diamond industry has for long been frustrated with the existing banking system. Lengthy procedures, unreasonable fees and a load of other complications when it comes to international trade and multiple currencies. It is therefore no surprise that the Glitzkoin diamond blockchain project promoted by diamond veteran Navneet Goenka, decided to reach for technology to resolve the payment issue. 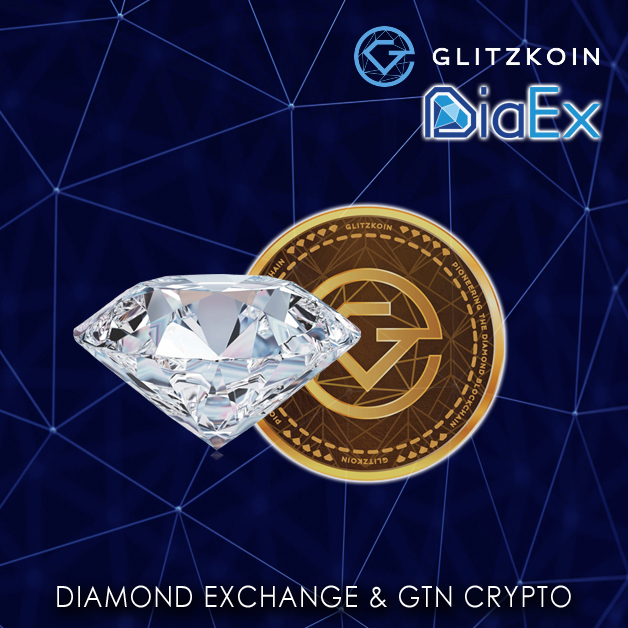 The DiaEx diamond exchange, the star of the Glitzkoin project, deploys the GTN crypto token to settle payments. Before we get into the issue of making payments using the GTN token, let us get a brief recap about DiaEx and its functionality. Diamond traders both big and small, located at any point on the globe can, operate on the DiaEx platform. Diamond listings are limited to certified natural diamonds – no fakes and no synthetics. Unlike conventional diamond trade where, brokers dominate the supply chain, the DiaEx leaves no room for any type of middlemen. This rules out problems like price cloaking and inflation. Back to the topic of GTN working as the mode of payment on the DiaEx diamond exchange. Without getting too technical, here is how the process works. The buyer would make a purchase of GTN tokens, based on the value of the transaction. The purchase would be made through a crypto exchange at the current token price. The tokens would then be transferred to the seller, this would complete the payment process. So how is the use of GTN tokens to settle payment on the Glitzkoin DiaEx platform, better than using the conventional mode of bank transfers. An interesting fact is that, blockchain technology is being increasingly used by banks to transfer funds. Crypto currencies rely on blockchain technology, they can be used to transfer funds quickly and at a very low cost. This is directly in contrast to bank transfers which involve, cumbersome procedures and substantial bank fees. The GTN token used on the DiaEx diamond exchange, delivers even better value when international trade is involved. Logistics related to multiple currencies and their conversion, are not relevant when a crypto is used to make payment. We should mention the effect that, GTN token payments on the DiaEx platform have on the crypto world. Crypto enthusiasts trade the GTN token on the exchanges as, they see a potential for price appreciation. Any demand generated for the token, would have a positive impact on the price. Diamond traders operating on the DiaEx diamond exchange, would generate a demand for the GTN token, this demand would be in addition to the demand generated by regular trade on the exchange by crypto traders. Traders trading on the DiaEx platform would derive far more benefits than, just being able to settle payments using the Glitzkoin crypto. The platform would be widely promoted and the features incorporated into DiaEx, would boost the confidence of both professional and casual diamond buyers and sellers.